Looking for a glamorous way of arriving at your prom? Or taking your friends out for your birthday party? 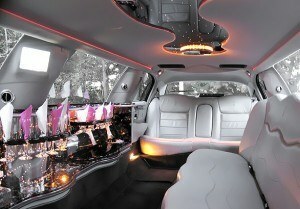 The expedition limo hire will make you experience the most luxurious journey to and from your destination. With a seating capacity of 14 people, you have room for all your close friends and family to join you on a fantastic ride. The mirror ceilings and fibre optic lights make the interior of the limousine aesthetically pleasing and stimulating at the same time. With the elegantly laid out cosy cream leather seats and a moon roof, you can absolutely relax and let your worries wash away as you advance into a distinguished journey. The tinted windows create a sense of personalized space where you can be all that you want and completely savour the exquisite interior of the Limousine. The open bar is stacked with complementary drinks that you can enjoy on your ride. When you crank up your favourite music and turn on the dimmer control lights, you can bring the party to you even before you arrive at your destination. The expedition limo hire is designed to emphasize the importance of your special occasion and guarantees to give you an unforgettable experience through your journey to your destination. Get in touch with us and receive your Free Quote on 020 3475 2693!